Tehran, Dec 31, IRNA-Iran's former president and expediency council chairman Akbar Hashemi Rafsanjani on Sunday harshly criticized recent anti-Iran UN Security Council resolution and stressed that Iran's nuclear activities are peaceful. Addressing large groups of worshipers at Tehran University campus on Eid Qurban (Feast of Sacrifice), Ayatollah Rafsanjani said Iran is ready to continue its peaceful nuclear activities under the international regulations. While underlining Iran's readiness for dialogue with the Group 5+1 on its peaceful nuclear program, Ayatollah Rafsanjani warned against any problem that might arise in the negotiation process. "The officials too should settle the existing problems with generosity; any problem by any of the parties would be hard to compensate," said Ayatollah Rafsanjani. 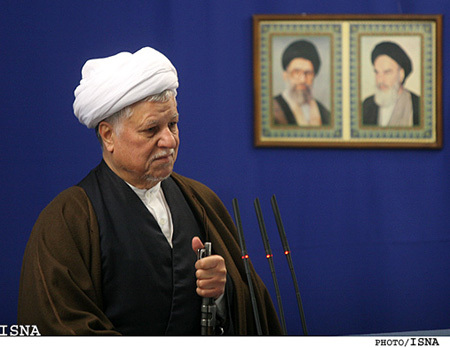 Rafsanjani thanked the public for broad presence in the December 15th elections. 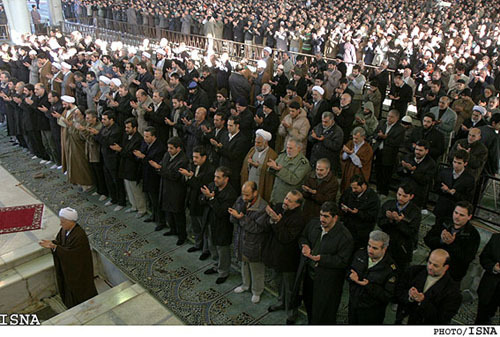 Delivering his Eid Qurban (Feast of Sacrifice) prayers sermon in Tehran University, Ayatollah Rafsanjani said the elections enjoyed necessary standards and were healthy. He said those elected through the elections are the most competent and experienced individuals. The fourth Expert Assembly and the third Islamic City/Village Council elections as well as the second Majlis by-elections were held simultaneously all over Iran on Friday, December 15, 2006. Rafsanjani won 1,564,197 of votes to stand first, followed by Ayatollah Mohammad Emami Kashani and Ali Akbar Feyzi (Meshkini) on the list of the Experts Assembly elections winners. Rafsanjani welcomed Iraqi dictator Saddam's capital punishment and said it is a "clear example of divine justice." "Iraqi events and what have until today taken place in the country mark divine justice," said Rafsanjani. Rafsanjani also said God Almighty has in the holy book Quran promised vengeance on the idols. He then hoped for restoration of security and peace in Iraq. Saddam died by hanging around dawn on Saturday, December 30, after an Iraqi appeals court upheld an earlier death verdict against him for his role in the 1982 killings of Shiites.